On 1 November 2013, the Waubra community ramped up its campaign to reclaim its name from an anti-wind farm lobby group. They sent an petition of 316 signatures, including 179 from the local area, to the Waubra Foundation asking them to stop using the town’s name. More than two weeks on and the Waubra community are still waiting for a formal response. This is despite the fact that foundation chief executive Sarah Laurie has acknowledged the petition during a radio interview. Waubra residents are, quite rightly, disappointed by the foundation’s silence. “The Waubra community is passionate to have our name back and we’re very determined to see this process through,” said local resident, Karen Molloy. “People in the town have been asking how the petition is going and whether we’ve had any success getting our name back. We’ve even found more people who wanted to sign the petition,” Molloy adds. “We hope the foundation will respect the community’s wishes and drop our name from its title,” concluded Ms McDonald. Yes 2 Renewables are keeping a close eye on the Waubra community’s push to reclaim their name. We look forward to seeing their next steps in what has been a long battle to reclaim their name. 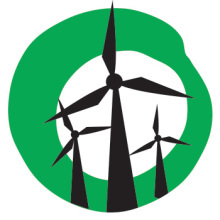 For more on Waubra’s struggle to reclaim their name, visit the Victorian Wind Alliance. We also recommend reading this excellent article by Andy Bray explaining why the residents want their town name back. I suggest that Waubra townspeople send a delegation to the next meeting of foundation and directly put their request the foundation’s executive. Oh, and don’t forget to let let the media know all about it beforehand, take lots of photographs and note the names of the attendees.